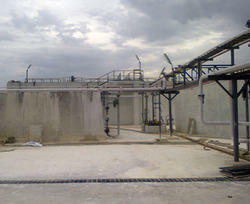 Our product range includes a wide range of sugar industry effluent treatment plant, distillery effluent treatment plant, dairy industry effluent treatment plant, pharmaceutical industry effluent treatment plant, food processing effluent treatment plant and fruit industry effluent treatment plant. Sugar Effluent Treatment Plant offered find extensive use in applications involving water treatment as per the specific demands of the processes. Some of its features include allows effective trapping and removal of all bacteria/virus presence from water, supports removal of over 99% of dissolved solids, comes with precision filtering process support, suitable softener support for removal of calcium, magnesium and other minerals. Effluent with varying pH , high chemical contents, high BOD , COD , TDS, TS brown in colour. Perfect designed anaerobic-aerobic combined systems can remove organics load completely. 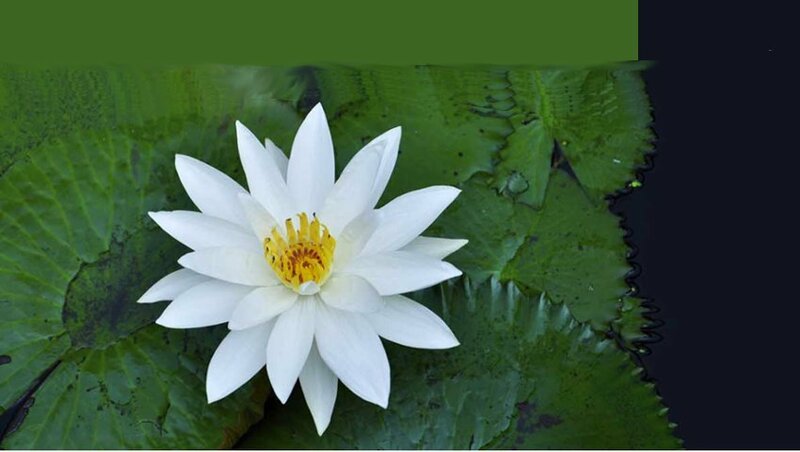 Lotus offers best treatment solution with 100% treatment satisfaction. Sugar factory is one of the most important agro based industry in India. India is the largest sugar producing country in the world. Sugar industries in India generate about 100 L of wastewater for one ton of sugar cane crushed. Effluent originating from distilleries known as spent wash leads to extensive water pollution. High BOD & COD values. The suspended solids and colloidal solids in the effluent contribute high BOD and COD. The dissolved oxygen content of the raw effluent is below detectable limit. Lotus is having proven treatment scheme for distillery spent wash having anaerobic-aerobic treatment with energy recovery through biogas. 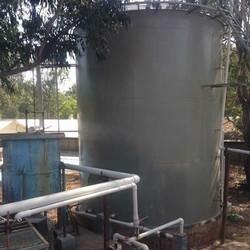 Dairy Industry Effluent Treatment Plant offered by us are well appreciated by clients for their high quality standards and Industrial, Commercial and Municipal Effluent Treatment Plants. Incorporated with sophisticated techniques, the plant is capable of treating both industrial effluent and industrial sewage water. Dairy industry effluent contains large quantities of fats, sugar, proteins which are organic in nature highly bio-degradable. Mainly anaerobic- aerobic process methods are used for treating the effluent. The dairy industry is one of those sector, in which the cleaning silos, tanks, homogenizers, pipes, heat exchangers and other equipments, engenders a large amount of effluents with a high organic load. Lotus treatment solution for dairy industry consists of pre-treatment, primary treatment (DAF for high hydraulic load), biological treatment (anaerobic-aerobic, UASB reactor followed by EA) and tertiary treatment and disinfection if required. Pharmaceutical industrial effluent contains high COD , high BOD due to high soluble & insoluble organics with high total dissolved solids & total solids with varying pH. Nutrients such as Phosphorus, Nitrogen are in the effluent. Organic pollutants are from mainly raw materials & finished products. They are mostly polar & potentially resistant to bio-transformation. Depending upon organic load and degradability, Lotus offers anaerobic treatment followed by aerobic and tertiary treatment. 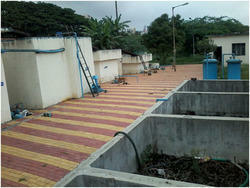 Effluent nature and treatment solutions varies from company to company. The characteristics & volume of wastewater discharged from food processing factories varies from products & production procedures. It contains high organic matter like nitrogen, Phosphorus, high Oil & Grease and effluent mostly acidic in nature. Effluent contains moderate to high BOD, high COD with high contents of suspended solids & dissolved solids. Many preservatives, colour, salts, oil, sugar, gelatine etc. 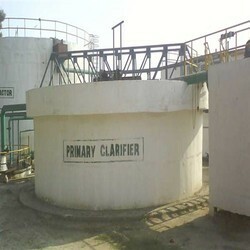 are added as per requirement of production of various products; this adds to pollution load. Anaerobic followed by aerobic treatment are commonly used and Lotus offers the same combination with advance tertiary treatment. Production of fruit juices drinks, fruit concentrates, souses, peel pressuring products all have impact on our environment. Produced effluents originating from Fruit processing industries and in Soft drinks have high concentrations of soluble and insoluble (suspended) organic material. It has low pH, imbalance of nutrients, high COD , high BOD values, toxins, high TSS. Effluents from fruit processing industries varies from factory to factory and is dependent on varies parameters such as the type of production, kind of end products and type quality of the fruit used as ground production. We offer combination of anaerobic-aerobic process to handle effluent from the industry, in some cases primary treatment also included in the treatment scheme. 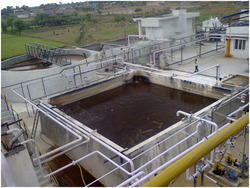 We are specialized in offering the Slaughterhouse Effluent Treatment Plant. 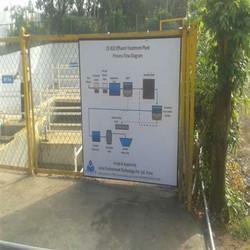 Being industry leader in providing the Effluent Treatment Plants we are appreciated by our various clients as we have successfully delivered the many projects. Wastewater contains large amount of blood, fats hair. For slaughter house treatment, Lotus offers biological treatment (anaerobic-aerobic, mostly anaerobic filter and EA) followed by tertiary treatment. Before biological treatment, DAF mostly used for high TSS and O G removal. Wastewater from slaughterhouse meat processing industries has been classified by CPCB as the most harmful to the environment. Less discharge of oil grease, high solid content, organic matter, dark yellow colour. Bottle washing or cleaning of machines and equipment also requires enormous amounts of clean water and generates effluent. Lotus offers anaerobic aerobic process (UASB reactor followed by EA) and tertiary treatment for fine tuning. In some cases, we also suggest DAF for primary treatment. Coconut processing industry contains high organic load, acidic, high O&G & dissolved solids with bad odour. Effluent is easily degradable. 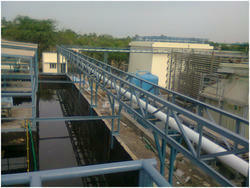 Depending upon effluent flow/quantity, Lotus offers biological treatment solution with or without DAF unit. Chemical industrial waste usually contains organic inorganic matter in varying degree of concentration, low suspended solids, and high BOD/COD ratio. Mainly materials in the chemical industry wastes are mutagenic, carcinogenic or simply hard to degrade. Lotus offers ASP, MBBR, SBR and in some cases anaerobic-aerobic treatment methods. Pulp and paper mills are categorized as a core sector industry and are the fifth largest contributor to industrial water pollution. Pulp and paper mills generate varieties of pollutants depending upon the type of the pulping process. Paper manufacturing process release chlorinated lignosulphonic acid, chlorinated resins, chlorinated hydrocarbons in the effluent are the major contaminates formed in the effluent of Paper Pulp mill. Pulp and paper industrial effluent is rich in recalcitrant compounds and causes pollution. High BOD, COD due to the presence of toxic lignin its derivatives from raw cellulosic materials strong black-brown color. Lotus offers anaerobic-aerobic process for the treatment of paper and pulp industry with excellent outlet results.